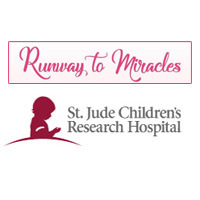 Endeavor Capital is honored to have made a contribution to St. Jude Children’s Research Hospital and was pleased to participate in the 8th annual Runway to Miracles event which took place on Wednesday, May 3. Event chairs Dalia Nuwayhid, Kristie Zaccagnino were joined by fashion partner Neiman Marcus Natick, for a premier silent auction, an exclusive live auction, fashion show and cocktail reception as part of the night’s events. All of the money raised will help the children of St. Jude.